Classic car lovers all over the world recognize the significance of the American muscle car as a valued collector’s item. For some collectors, the muscle car brings back memories of their youth and makes them feel young again. Other collectors see a muscle car in good condition as a way to generate cash. Despite the strong feelings many car enthusiasts have about classic muscle cars, often the cost involved is more than they’re willing to invest for a restored or original condition muscle car. Often, these vehicles, depending on the model, can sell for several hundred thousands of dollars to upwards of a million dollars. While those prices are too expensive for most people’s budgets, there is another less expensive way for a person to get their hands on a classic car, and that is with Project Classic cars. Project Classic cars are classic cars in various states of disrepair. Whether you intend to drive or resell your vehicle, project classic cars will require quite a bit of work before they’re ready to take on the road. After purchasing one of the project classic cars for sale, it is important to know your plans for this particular vehicle. If your intention is to resell the car, you will need to keep in mind the type of restoration you’re planning to attempt. You can choose to either restore the car to its original condition, or trick it out with a custom restoration job. To make sure you get a good return on your investment, check out which types of restorations are typically performing the best at auctions. Some enthusiasts choose to restore classic project cars for reasons other than profit; if that’s the case with you, you’ll need to make some decisions before you go looking for the right car for your project. Just like with project classic cars being restored for resale, you will need to determine which type of restoration project you want to take on. This will determine what state of disrepair you are prepared to live with and when the vehicle’s condition is too far gone for your restoration plans. Restoring a car to its original condition will require less actual work on the vehicle and more work hunting down original parts. Finding Project Classic cars with as many salvageable parts as possible is a good idea. 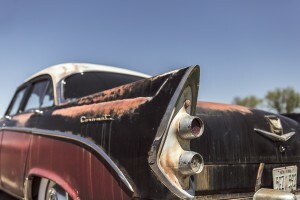 If, instead, you’re looking to do a custom restoration project, the vehicle you purchase is simply the canvas for your creativity, so the condition of the vehicle may not be as important. There are many reasons why a person might want to purchase Project classic cars. For one, project classic cars are much less expensive than the same model vehicle in good condition. In addition, there is something to be said about taking a rough looking vehicle and turning it into a gem. For many people, project classic cars aren’t just a hobby, they’re a passion. Turning something that was broken down and bringing life back into it by restoring it to a pristine condition brings satisfaction that is well worth experiencing. Are you a lover of old classic cars? If you’re in need of Old Cars For Sale to restore yourself, be sure you check out my web site. There are tons of good resources on the restoration process, as well as large listings of Project Classic cars that are available right now online. Save some money and comparison shop for your next Project!